It's Fall. I love fall. The sweaters come out. The leaves turn color. The flip flops go into the closet. Wait. No. Please no. I love my flip flops! 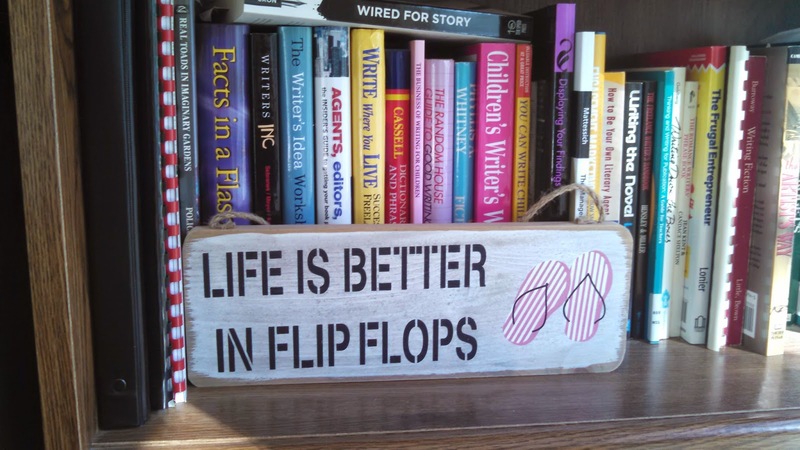 Around here we have a saying, and that saying is "Life is better in flip flops." And see, I have the little wooden plaque to prove it! It's nestled among my books on my bookshelf. We're beach people. 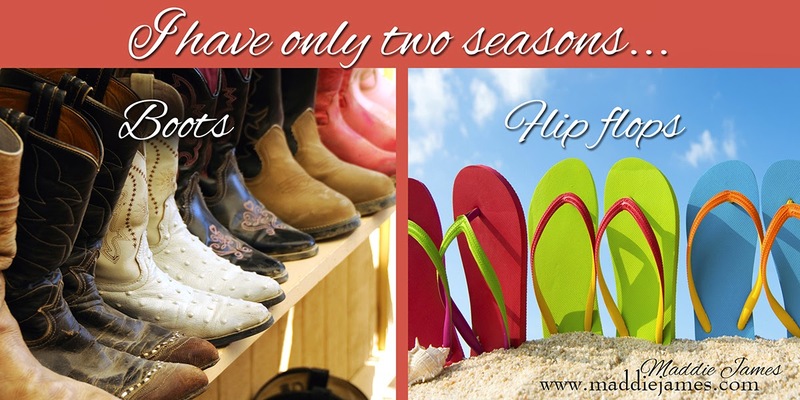 And even though it's turning colder, we are already having planning discussions about next summer's big family beach vacation -- and seriously, those flip flops will not go far. I'm a barefoot kind of girl so even if I have to take the dog out on a blustery day, flip flops are better than nothing! But alas, we must make the transition, and I fear it's coming soon. So, if I must give up my flip flops, I'll cave. But only for my boots!